Due to staff shortages we are unable to run the land training session tonight, Sunday 14th April. Session 1: 9:30am to 11:30am. Please take a look at both the accepted entries and Rejected entry list for the Wrexham meet in May. 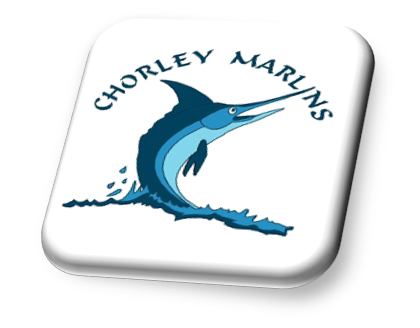 As of this Friday 12th April District Squad will train from 7pm till 8pm on Friday night at Chorley instead of the 6:30pm start. 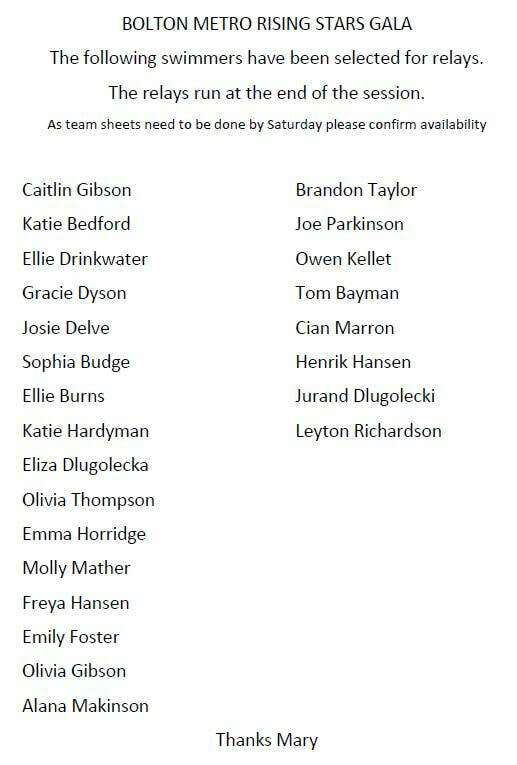 See below table for the new District Squad Times. After Easter (Starting Saturday 27th April) we are re-arranging JD squad training times to free up more space in the Brinscall pool on Saturday mornings. JD squad will no longer train at Brinscall on Saturday morning but will instead train Monday night for an extra hour alongside District and also on Friday nights at 7pm for an hour again alongside District squad. See below table for details of the new times for JD starting 27th April. 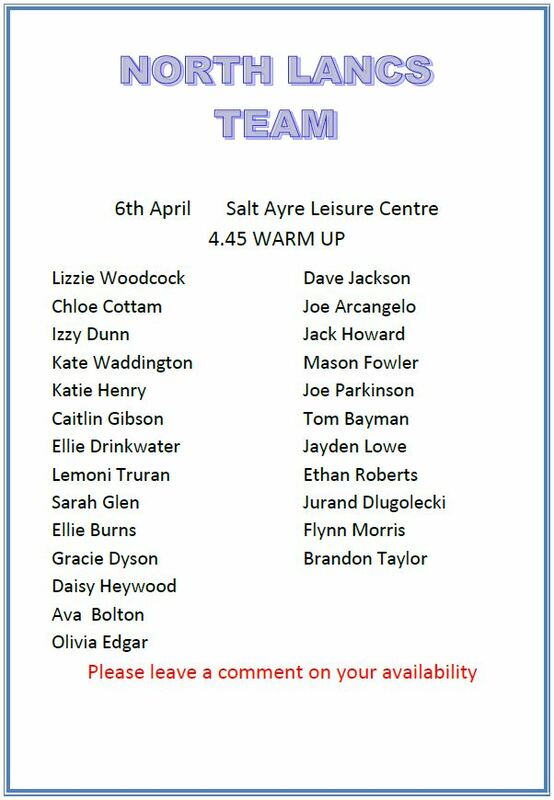 Round 2 of the North Lancs league gala is on Saturday 6th April at Salt Ayre, the team sheet is below, please indicate your availability by commenting below. Mary has lost her blue Adidas hoodie at Microleague today and is hoping someone has picked it up for safe keeping, could everyone please check their bags in case they have it and let Mary know. The Wrexham gala posted earlier is a level 2 gala and as such has quite tight entry times but Mary has taken all that hard work away from you and posted a list of eligible swimmers for the events at Wrexham. ​Please have a look at the attached PDF file for details of all those eligible. Wrexham Gala - Alternative to Blackpool but Enter Quick, Closing Soon, 28th March. ​We are offering the Wrexham gala as an alternative to the Blackpool Rocks gala due to the fact we didn't get in this time. Please see the upcoming galas page for details or follow the link below. The club greatly appreciates the contribution of its supporting members to the smooth running of the club. If you are a parent who has some spare time to give, please contact any member of The Committee or get in touch via the "Contact Us" page. ​We have now quite a few vacant positions within the club and need your help. ​Have a look at the club roles page via the link below where all the vacant positions are listed.